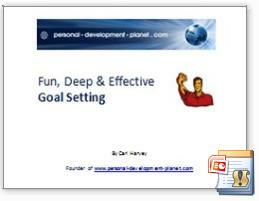 What's an Example Personal Development Plan? Congratulations on deciding to investigate personal development and learn about an example personal development plan. It's a terribly wise decision that will pay off massively in the long run... welcome to our world! 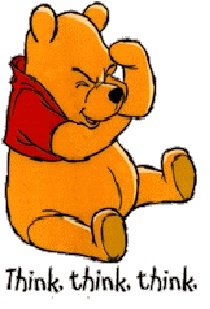 I know it can be confusing when you're just starting off (hence the confused Pooh Bear!) With personal growth covering so many related areas, how can you know where to begin? Well, you can get an idea of where to start with these introductory articles. They are all engaging, simple to understand and not too serious! Define Personal Development. This is a good place to start. It explains all of the crazy things that personal development can cover - and shows you how to find the "real you". No personal development plan is complete without a definition. Start here! Create a Personal Development Plan. This article introduces the key benefits of self growth, and explains what to include on your example personal development plan. Learn about the massive impact you can make on self-belief, fear, purpose and cashflow by focusing your intentions on personal development. Work out your Values & Goals. Defining your values, and then deciding on your goals is THE most important early step for your personal development journey. Click on the picture on the right for a free 25 page goal setting and values workbook, or click on the text link above for several articles which will help you. Learn about Media Influence. One of the most sensible ways to start your self growth adventure is to question what you've been told so far. Media influence (aka corporate propaganda!) can have a debilitating, depressing and dis-empowering impact on your life. Wise up by finding out the facts here. Make sure your example personal development plan includes measures to avoid the news! Learn about Creative Visualization. One of the most fun thing for beginners to include on their personal development plan is a Creative Visualization practice. This is when you use your imagination to change the deepest beliefs you hold about yourself. It can be scarily powerful, so take a look and learn how to do it today. With all of this information, you should have more than enough ideas to start your own example personal development plan. My advice would be to have fun with it - and to push yourself, but to go at your own pace too... There's no rush! Personal development can help you to understand yourself better, grow as a person, feel happier, earn more cash... and much more!